Join Wonder Woman and Supergirl in the fight for freedom! 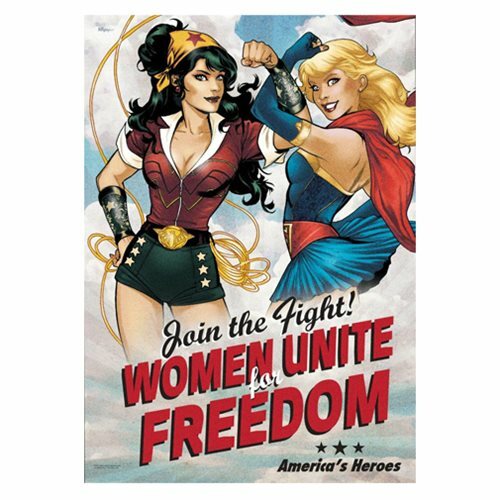 Display your girl-power patriotism with this DC Comics Justice League Bombshells America's Heroes MightyPrint Wall Art Print. This artwork will look great hanging in your home or office on the wall. Measures about 24-inches tall x 17-inches wide. Ages 13 and up.